OK, Jude Dibia is one of my favorite novelists, his writing is simply lush and has been described as daring and controversial by readers and critics in and out of Africa. Ikhide Ikheloa, a renowned Nigerian columnist and critic, has extolled Blackbird as a work of considerable industry and purpose... an important narrative. ONLY TWO years ago, things had been different in the Shiloh area of Sambo town. Things had been hard but not quite as perilous as they had become in recent times. Maya remembered the joys of walking freely to the market without worrying about the prospect of being knocked down by irresponsible motorcyclists, mugged by a neighbourhood hoodlum, or waylaid by beggars. Yes, even beggars harassed people on the streets of Sambo these days. She had had a bitter experience on a Sunday afternoon recently. She had gone to the neighbourhood Catholic church on her own. Deji was in hospital and Omoniyi had refused to wake up that morning. Previously, she would have taken the bus but, to save the five naira fare, she decided to walk there and back, only fifteen minutes on foot. On her way back, what seemed to be an old, destitute man accosted her, begging for money. He was bent over as if by age and the pangs of crippling poverty. She had none to give him and politely told him so. Then suddenly he became upright and sprightly. He grabbed her wrist and pulled her to him. The full blast of his rotten, unclean smell hit her full in the face and for a moment she lost all use of her senses and limbs. Maya recalled how she had screamed to attract the attention of passers-by. She pushed the man away and ran all the way home, not stopping once to look behind her. That was how bad things had become in Sambo. The other day, she was at the market when she had heard about how a mob of market boys and miscreants had taunted a couple of young women who were wearing clothes made from a new fashion fad, a velvety material that was now derisively christened ‘akwa òche’, upholstery fabric. Nowadays, it seemed, young women were being harassed on the streets on a daily basis while other people simply looked on, and sometimes even buoyed up the troublemakers. These indeed were troubling times. 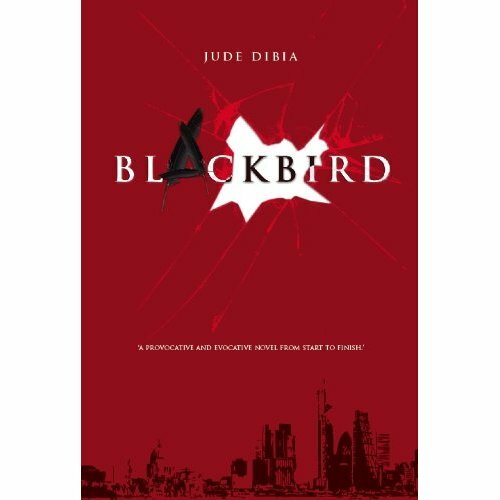 Blackbird by Jude Dibia is published by Jalaa Writers’ Collective and is available in bookshops in Nigeria and on Amazon Kindle.